Biafra: 30th May Heroes Day: Nnamdi Kanu, Ohaneze and Governors, Who Controls Biafrans? Since the inception of the British created country called Nigeria, there has never been any leader past or present in the entire history of Nigeria as formidable as Nnamdi Kanu, the supreme leader of the indigenous people of Biafra IPOB and there would never be any after him. When you see an anointed leader who was born for a particular cause such as this, you need no Prophet to prophesy to you about the authenticity of his calling. No governor or politician in the whole of Biafra region and beyond can command the magnitude of the crowd that Nnamdi Kanu is commanding, and after yesterday's 'Sit-At-Home' event which recorded huge success, it became even clearer that Mazi Nnamdi Kanu has the mandate to restore the sovereign nation of Biafra. Nnamdi Kanu is a leader indeed and not a ruler, he leads by example and through his unique leadership skills, the new generation of Biafrans in this era has come to learn the importance of total obedience and loyalty especially in freedom fighting. The young and the old in Biafra today has come to realize the true meaning of command and control which has been the watch word of IPOB world wide which also makes the movement very unique. Nnamdi Kanu is the voice of the voiceless, the liberator of the oppressed, the saviour of the people. Through his great leadership skills, many Biafrans today both at home and in diaspora have been liberated from the shackles of ignorance of who they are and where they came from. Many have been set free from the brain washing tactics of the evil Yoruba media. Read also:BIAFRA: WHY DO THEY STILL COME AFTER US? He first shown to the people the real example of a true leader by giving himself in to the authorities to be incarcerated just for his love for his people, and now the over 70 million Biafrans are ready to give up themselves, and to as well, die for him. Nnamdi Kanu is not only a good leader, but also possesses some prophetic gifts to see into the future and prophecy accurately with great precision. He prophesied that Buhari will make Biafra come even faster than we had imagined and from all indices it is beginning to pan out that way. 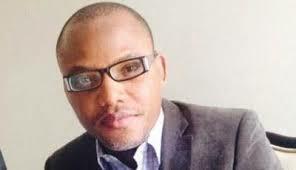 Nnamdi Kanu is more than a leader, a preacher, a prophet, a freedom fighter and a great activist. All of the afforementioned are the qualities lacking in especially our Igbo Politicians and Ohanaeze of today. Going by the success recorded yesterday, we can now categorically confirm that Nnamdi Kanu don't just control but has the blessings of Biafrans worldwide to carry on this divine project of restoring Biafra. Rochas Okorocha threatened to deal with market union if they do not open shops and was even seen roaming about and opening locks to various markets, but the command was still obeyed; the inspector General of police exuded vile commination, but it capitulated; Ralph Uwazuruike counter-ordered against honouring our fallen heroes by obeying Kanu's sit-at-home command and today he has gone back to eat his vomit by acknowledging the success of the event. What does this tell us as a people? Nnamdi Kanu has forced all of these people to bury their heads in shame. Nnamdi Kanu is the franchise, he is the real deal, he is the man who sets the pace and precepts for the people to follow and today, even politicians have no choice than to fall in line.